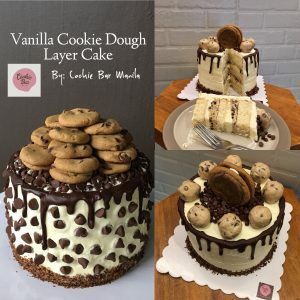 What happens when a cake and a cookie mold into one beautiful dessert? 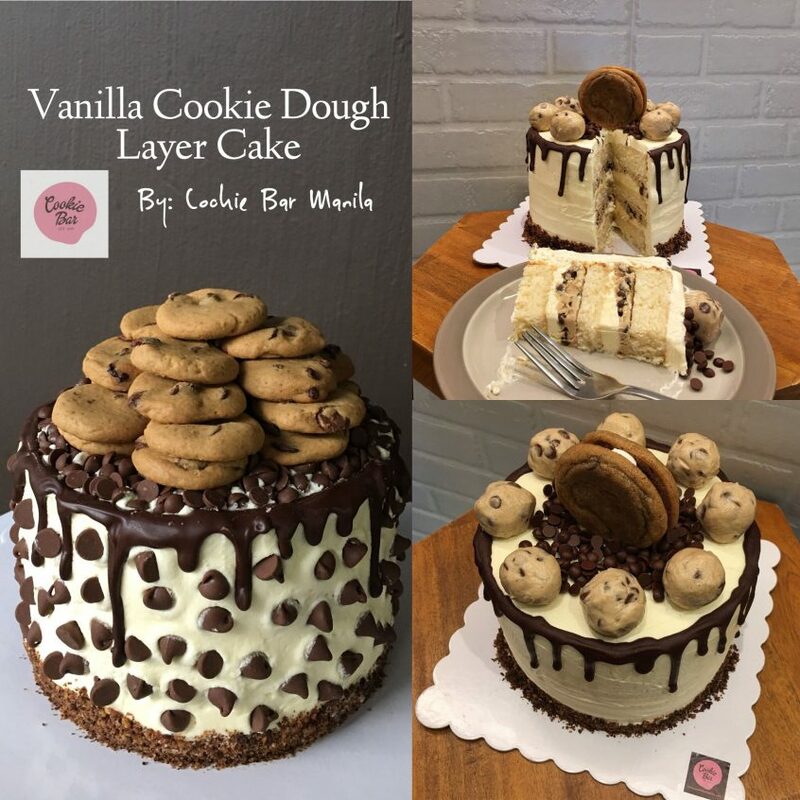 It’s our dream cake and we made it happen here at Cookie Bar! Moist vanilla cake, with layers of cookie dough, creamy Swiss buttercream, topped with cookie dough balls or chocolate chip cookies. 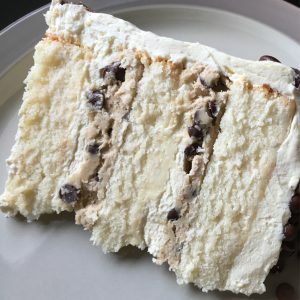 How can you not love this festive and fun looking cake? Are you a cookie lover or shall I say, cookie addict? Then this cake is for you!